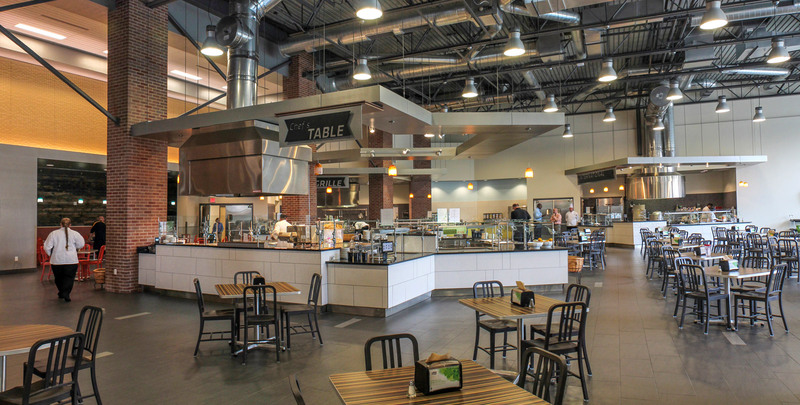 The new Shocker Hall complex at Wichita State University comprises a 330,000-square-foot dormitory, a 22,000-square-foot kitchen and a 400-seat dining hall. 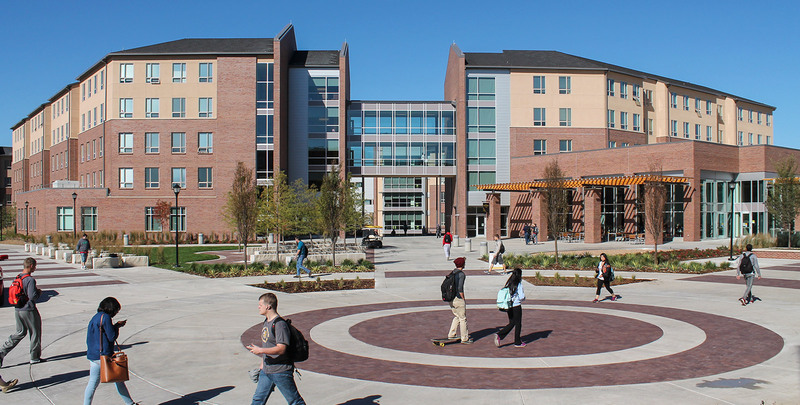 The $60 million facility, which houses 780 students, was on a tight timetable for design and construction in just 17 months. We provided mechanical, plumbing and electrical engineering, civil engineering, landscape design, and construction services for the complex. Electrical systems include four electrical services and two generator sets. 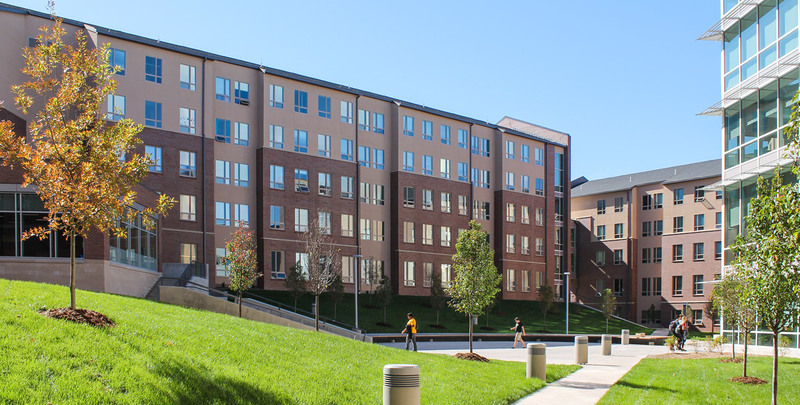 The HVAC system uses a 550-ton water source heat pump loop system to provide heating and cooling to the complex’s four dorm towers. 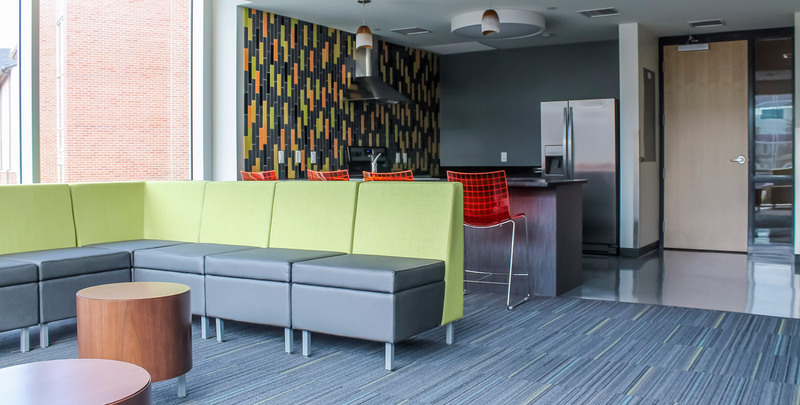 The kitchen and dining area is served by multiple outdoor air makeup units and VAV rooftop units. To expedite construction, four separate bid packages were completed, beginning with the underground utilities. The civil engineering design provided for site grading, storm water, sanitary sewer, water and paving. Through creative grading design, we optimized the site to expand the number of residential units. An environment of newly constructed outdoor living and meeting space, pedestrian pathways and vehicular access routes complement the residential and dining complex. 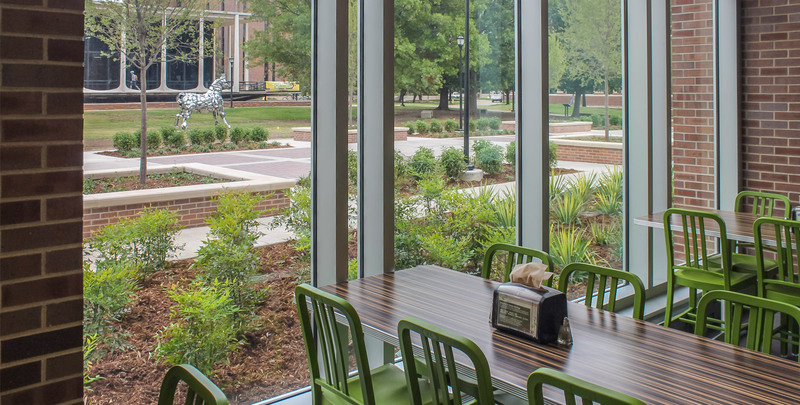 Design of these improvements began in the fall of 2013, and student occupancy began just more than a year later.